Join the epic battle for the ancient ring of power in the complete story of Middle-Earth! 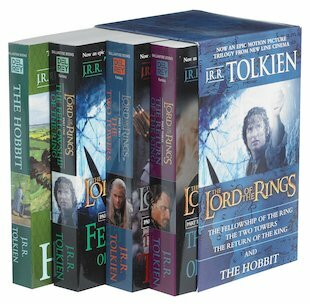 This boxed set encases Tolkien’s entire trilogy of troubled elves and twisted men, as well as the prequel, The Hobbit. Frodo Baggins’ simple life turns sinister as he embarks on a great quest across Middle-Earth; a journey upon which he encounters dwarfs, wizards, orcs and unparalleled evil. Tolkien’s world-famous fantasy remains unrivalled in its epic scale and huge variety of characters, landscapes and action. 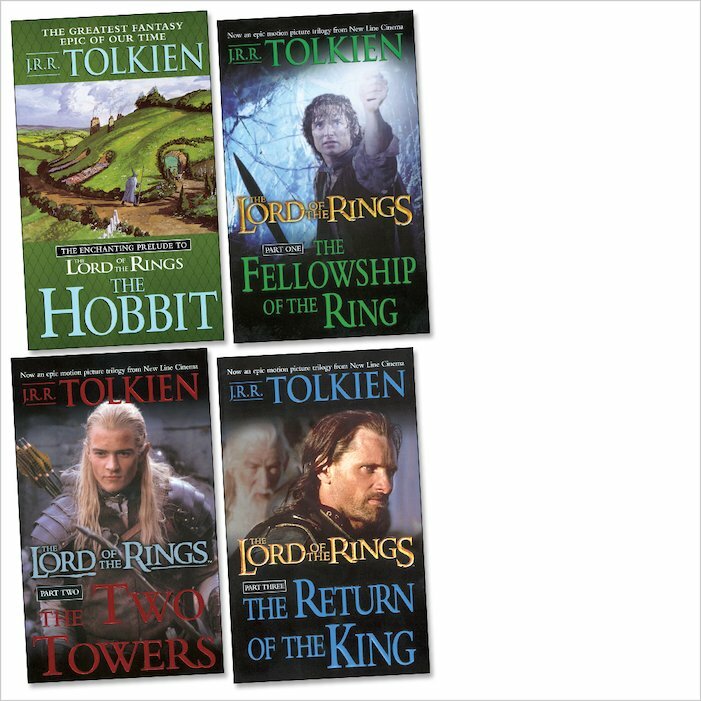 Enter a world of magic and magnificence in what is often considered the greatest fantasy series of all time. WOW! that was absolutely epic. like literally, when I had read all of these, I went round recommending other people to read them too! you must read this. 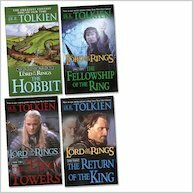 join the adventurous world of frodo and have some fun reading this book. when I had finished reading this book, I was left feeling confused because I realised that I was in my house rather than in the actual word of lord of the rings. the effect in this book is so strong that you will just love it. I don’t want to give any more away so I’ll be quiet. but seriously, read this book and you’ll definitely love it.